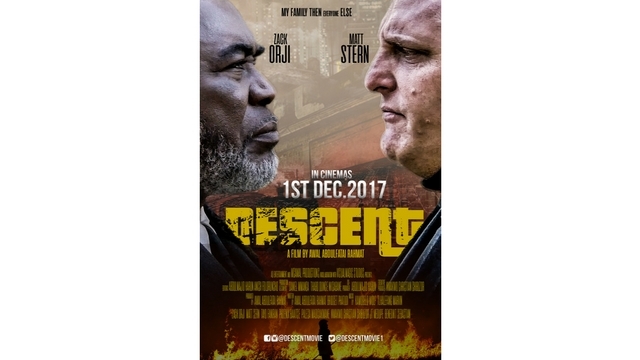 Directed by Awal Abdulfatai Rahamat, Descent will open at the cinemas on the 1st of December 2017. 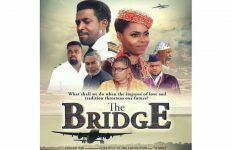 The movie follows the story of Kalu Achebe (Zack Orji) and Andrew Morgan (Matt Stern) both underworld dons that will do anything and everything to protect their families. They are tied to a twisted fate with Bongani Ndilovu (Phoenix Baaitse); humble farmer who simply wishes to protect his legacy; a thirst for vengeance and power. 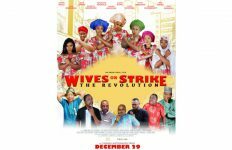 It stars Zack Orji, Matt Stern, Tayo Faniran, Benedict Sebastian, JT Medupe, Chibuzo Nwankwo, Palesa Medisakwane, Andrew Stock, Phoenix Baaitse, Sheena Deeparian and Ahmmad Kawser.